This is the second of three parts featuring ticket stubs that I have in my collection. This game took place on November 13th, 1982. 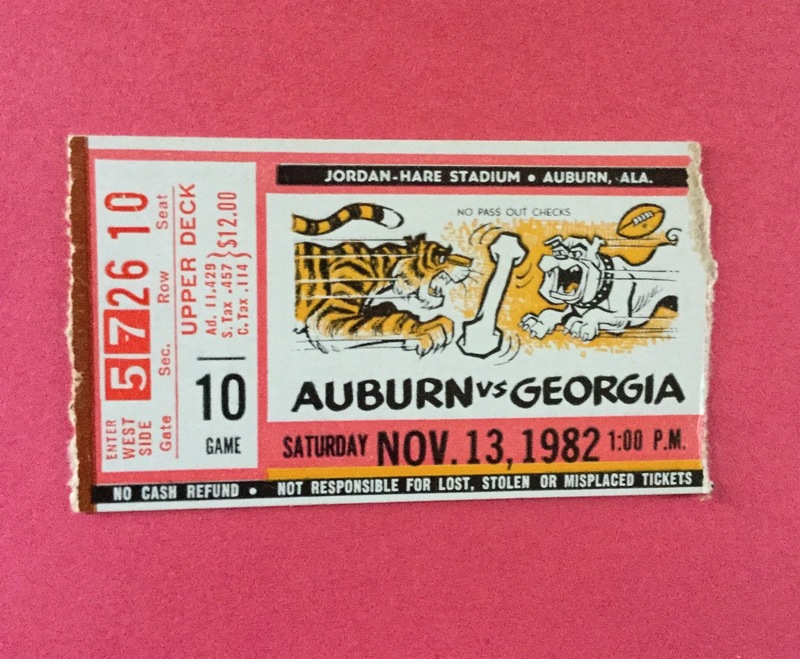 The game took place at Jordan-Hare Stadium in Auburn. Auburn was trying to knock off Georgia, who was the #1 team in the country, and they almost succeeded. The Bulldogs needed a fourth quarter comeback in order to pull out a 19-14 victory. The win insured Georgia of their third straight Southeastern Conference Championship, and a spot in the Sugar Bowl. Once again, Herschel Walker had a tremendous game. He rushed for 177 yards on 31 carries, and in the game, became the first junior to go over 5,000 rushing for a career. Walker also had two touchdowns in the game. 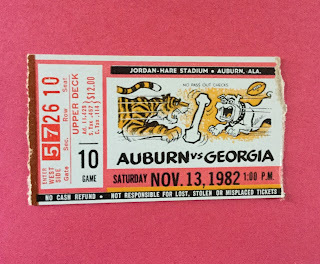 The annual game between Auburn and Georgia is referred to as "The Deep South's Oldest Rivalry".